Due to its unique location, Morocco has been influenced by many cultures throughout the years. For centuries, the country was formed by the mixture of African tribes from the other side of the Sahara Desert, Islamic traditions from Arab neighbors, and European colonizers. All of these influences have created a culture unlike any other and nowhere is this more clear than in the country’s unique architectural style. Today, different design elements can be seen in the buildings throughout Morocco but the strongest influence in the country’s architecture (both in the past and the present) is Islam. Indeed, the specific decoration guidelines of Islam have been used to direct the construction and ornamentation of buildings in Morocco for centuries. In addition to the Islamic influence, Hispano-Moorish architecture (a type of architecture characteristic of North Africa and the Iberian Peninsula) also took roots in Morocco during the Almoravid dynasty. Today, a combination of these two particular styles can be found in most buildings throughout the country. 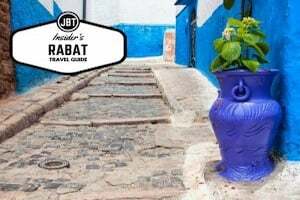 Understanding the great variety of buildings in Morocco and their diverse architectural styles and elements can become overwhelming, so allow us to take you on a journey through the variety of elements. Morocco is often described as a country of allure, mystery and beauty and this is certainly in part due to its unique architecture. Despite the country’s sometimes turbulent history, most of its artistic heritage has survived until today. Design elements of Moroccan architecture also have a strong Islamic influence. These include elaborate geometric patterns, ornamental Islamic calligraphy of Quranic verses, and colorful zellij (a ceramic-tile mosaic). Open courtyards with lavish gardens can also be found at the center of most buildings: these were constructed as places of privacy and relaxation. The Hispano-Moorish style also features prominently in Moroccan architecture. Its main design elements include sharp white walls, stucco roofs among the arches, and large domes. The beauty in Moroccan architecture is that these elements can typically be found blended in with Islamic-style buildings such as mosques and medersas (Quranic schools). What sets Morocco’s architecture apart is not only its exceptional blend of different design elements but also the unique features of each of its traditional buildings. Mosques, riads, souks, ramparts, kasbahs, palaces and medersas are all different types of buildings found throughout Morocco: they have different purposes and very different architectural designs. We will cover some of them below. Mosques are arguably Morocco’s most important structures. In every city, village, or town – no matter how small – you will find at least one mosque with a tall minaret towering over the city. With walls and fountains covered in green and white zellij and a beautifully adorned mirhab (a niche indicating the direction to Mecca) in stucco and marble, it is no wonder visitors find Moroccan mosques to be the epitome of Moroccan architecture. For some of the most exquisite examples of Moroccan mosques, visit the spiritual city of Fez, particularly Al-Qarawiyyin Mosque. 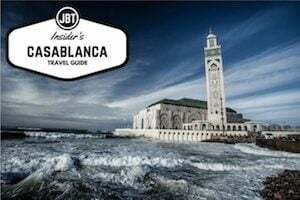 Keep in mind only the Hassan II Mosque in Casablanca and Tin Mal Mosque in the rural High Atlas Mountains are open for non-Muslims to tour inside the buildings. Traditional homes and palaces in Morocco are called riads. As private residences, they were built with seclusion in mind. They are focused inward with a courtyard in the center, which allow for both family privacy and protection from Moroccan weather. All rooms open to this courtyard and feature windows only towards this central space. Courtyards are often decorated with a fountain and orange or lemon trees. Depending on the family’s wealth, the riad might be decorated with magnificent zellij and stucco work. Many ancient riads have been renovated recently in Marrakesh and Essaouira and plenty have been repurposed today as hotels and restaurants. A type of medina, the kasbah is a fortified city built for defensive purposes. Besides their extraordinary size, kasbahs are quite impressive and were typically built in harmony with their surroundings. The massive outer walls and all the buildings inside easily blend into the background with their tan-colored exterior. The simple construction materials used enabled the interiors to stay warm in winter and cool in summer. 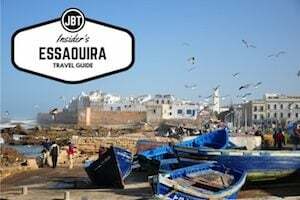 The Kasbah des Udayas in Rabat in particular is quite an interesting sight to behold. More than just schools of religious teachings, merdersas were true thriving centers of the studies of law, philosophy, and astrology. Their architectural design is unique in that it portrays a great disparity: in contrast with the extremely small and simple wooden dorm rooms of the students stood an incredibly adorned gate and a vast central courtyard lined with magnificently decorated arches with detailed stucco work. The mosque enclosed within the towering school walls would also be exquisitely decorated in sweeping Islamic calligraphy and complex geometrical motifs on shining green and white zellij. 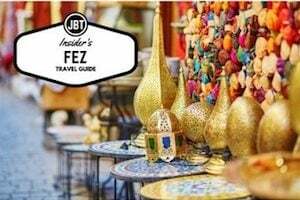 It is difficult to grasp the incredible décor contrast in these schools so make sure you visit Medersa Bou Inania in Fez for one of the country’s finest examples. 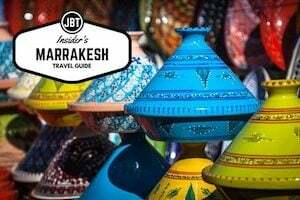 In addition to the specific sites we have already mentioned in this article, there are plenty of cities and areas in Morocco where you can witness the country’s beautiful architectural style bloom in all its magnificence. The cities of Marrakesh and Fez are usually the main places travelers choose to visit as these two cities offer the most variety in a contained space. Noteworthy buildings to visit include Bahia Palace and Saadian Tombs in Marrakesh, Andalous Mosque and the Museum of Moroccan Arts in Fez. The oldest examples of Moroccan architecture, however, are more easily found in the Atlas Mountains, namely in the ancient kasbahs and old villages. 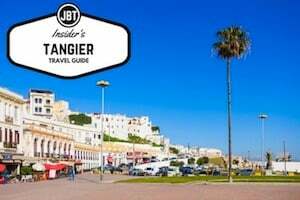 And although it is a more modern city today, Morocco’s capital in Rabat also holds a number of architectural gems such as the Mohamed V Mausoleum and the aforementioned Kasbah des Udayas. Experiencing Moroccan architecture in other places, isn’t a difficult quest. It is as simple as walking down any street, taking in the grand government buildings with their stately façades, walking through ancient city gates with their smooth U-shaped arches, or admiring the soaring minaret of the nearest mosque. 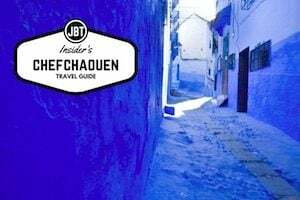 Morocco is filled with exquisite architectural gems that tell the intriguing story of a country that has continuously welcomed and absorbed different cultures, lifestyles and beautiful designs.